Paypal is the most popular online payment processor and about 98% of websites make use of it to pay workers and publishers. Paypal is the best when it comes to receiving money and making payment but this flexibility have not been made accessible to some countries. While some don’t have access to Paypal at all, others only have access to it as a means of making payments and not receiving payments. Now this is very sickening because such restriction impedes the chance of making money online. How are you going to get paid after all your struggles? As a Blogger and Affiliate Marketer or someone that works online, you will definitely need to get paid for the services you’ve rendered with or without a PayPal account! You’ve probably always paid someone to receive your cash which in the long run reduces your money. But not to worry, there’s always a way out. 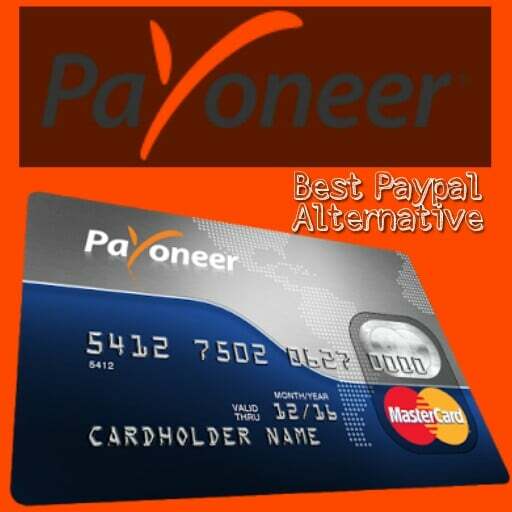 There are tons of paypal alternatives, and they’ve been discussed previously, but here, we will be looking at the best of them all, Payoneer. Payoneer as a payment processor is very important to Bloggers and Internet Marketers and it has become a very popular means of getting paid online. The company was founded in 2005 and have overtime become a very good and the most recommended paypal alternative. With payoneer you can receive payments from Affiliate Programs, various Adnetworks, including Google Adsense and a host of many others. If your country have been restricted from using Paypal either for receiving or sending payments, then Payoneer should be your best bet. Payoneer is more like having a bank account, the only difference is that it is virtual. You’ll have an account number and a master card for making payments online as well as receiving earnings from Companies. 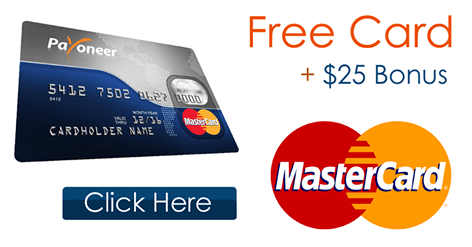 Visit www.payoneer.com to sign up for an account and get a $25 signup bonus. The sign up process is very easy and self explanatory. But while you do so, make sure you are being truthful… Do not use a VPN or fake identity as the company is open to most if not all countries. • You may be restricted from trying to sign up with them in the future. • After signing up, you will need to upload your proof of identity before you can be approved to have an account with them. Thus, you need to fill in your name, address etc as it is in the ID card you intend uploading for verification. If you are a student, and don’t have the IDs mentioned in their website, you can use your student ID card as your proof of identity. • Your card needs to be shipped to you via the address given so try as much as possible to provide a real address. You can choose to get your card within few days by opting to pay 50usd (your card will be shipped to you via DHL) or you can settle for the regular shipping which is free (wait time ranges from 21 days to 3months as the case may be). After signing up, uploading your proof of Identity and ordering your MasterCard, you simply have to wait for their approval message. You will get approved so long you uploaded a valid ID Card having details that tally with your name and address used during sign up. Once the verification process is over, they will send you an email notifying you of your approval and the stipulated wait time for the arrival of your card. Once you receive your MasterCard, sign in to your payoneer account and activate it then you can start using it to receive payments online as well as make payments. Can i withdraw money from local atm’s with this card? So I can withdraw the money with the mastercard in a bank or what?